I love the cover of this book, it really drew me into the book at first, and this was definitely an interesting story. I'm not sure where Gier was going at times but when things started to really happen, I was hooked by the characters, though I will say at times they did annoy me as well. 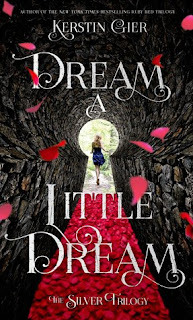 Liv has always had some weird dreams and now they are beginning to blend into her real life as well, her family has just moved to a new country, and she is trying to start over but it is hard when she recognizes people at school from her dreams. Liv loves mysteries and this one is the best mystery she can try to solve. The scary thing is how these guys from her dreams know what she is dreaming when she meets them in real life, and that is what makes her wonder if there is more going on in her life. I really think Liv has a great sarcastic humour and she knows when and how to really use it. The other thing that is amazing about Liv is her relationship with her sister, they have been there for one another through a lot of tough times, and many moves and you can see that in their interactions. I kind of wish her sister showed up a little more as the story went on, but I do understand it is more about Liv and the group of guys she befriends. Now for me, I was confused by these four guys, they just kind of all of a sudden appeared and it took me some time to really understand how Liv was connected to everything that was happening. There is still a lot to learn about the boys, they are a very close knit group but some of them are just side characters and don't seem to add too much to the story. 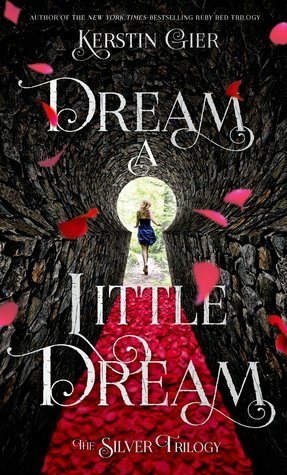 The idea that these characters can speak to each other and meet up in their dreams really intrigued me, they get to know one another in a more intimate way in this book and it connects them a lot quicker than most people. I think that the world that Gier has created still needs to be explained more as to how everything came to be, and I am definitely intrigued to see what will happen following the ending events of this book. It seems almost like this book could stand alone, though I think there is more mystery to come from these characters.